Enter our World of Taste with our Discovery Pack Offer. 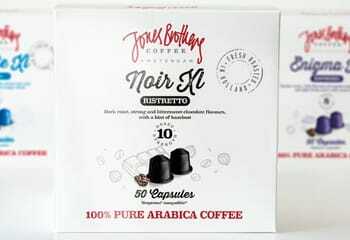 Whether you are an espresso drinker or a lungo lover, we have something for you in our great range of capsules. Supreme quality pure Arabica coffees tightly packed into our colour coded capsules to maximise your enjoyment. Designed by our Roastmaster, our brilliant blends and delicious single origin capsule coffees offer a great choice of natural and subtle flavours and strengths. 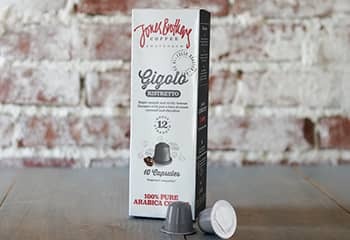 The sweet and delectable body and rich taste of the extra strong GIGOLO, the hazelnut and chocolate hints in the dark roasted NOIR, or the balanced sweet acidity of the ENIGMA, delivering pure shots of espresso heaven. 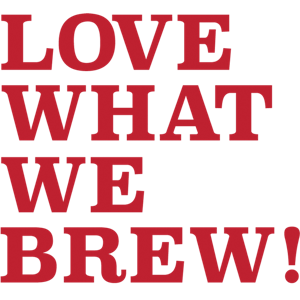 The longer and stronger medium dark roasted REVIVE with its light floral aroma or the more subtle and uplifting citrus and ELEVATE a soft and delicious light, lemon zest and sweet cookies flavoured longer drink. All our capsule coffees are delicious. But which one will you choose to be your favourite? We offer you the chance to try them all at an awe-inspiring price of just € 11.99 for 50 caps. Free shipping included! * Just one per household. ** Limited Edition coffee capsules are not included. 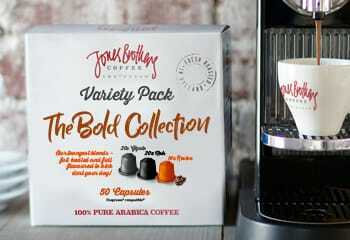 Disclaimer: All Jones Brothers Coffee Capsules are compatible with the original line Nespresso™ capsule machines. But in no way is Jones Brothers affiliated to or licensed by Nespresso™. The Nespresso™ is owned by Société de produits de Nestlé SA. Delicious coffee for a great price! We drink nothing else since we tried this brand! Tasty coffee! We were pleasently surprised. We will order more often for sure. Nice to taste everything again! We are fans of this delicious and well-priced coffee! Delivered quickly at home. Good price for 40 caps, with also free shipping. 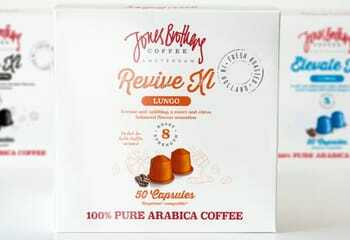 3 of our strongest flavours, ristretto and lungo, 100% Arabica coffee...all in one pack!